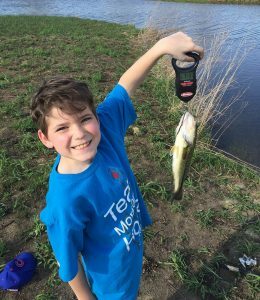 As me and my oldest boy, Jayce, drove an hour towards the fishing hole, I wavered on whether a walk-in trip was a good idea. After all, our day had started with a local JDRF walk covering somewhere near two miles. So the prospect of a 1.5 mile round trip hike to a fishing hole was a tough call. However, I felt it was my best bet to accomplish a couple goals as detailed below. 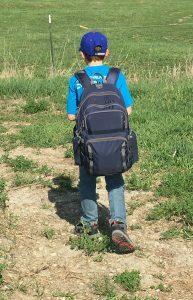 Just over 1.5 of the miles were racked up on our round trip with Jayce eager to pitch in and carry some of the load. 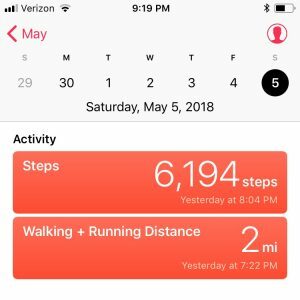 Cinco de Mayo – Every once in a while that whole light bulb thing goes on upstairs and I get one of those “hey, that would be a good blog project” ideas that at least amuse myself. So, the water is warming courtesy of some stable weather, the bass are moving shallow to make more bass and my boy is chomping at the bit to go fishing. And, here’s the kicker, its Cinco de Mayo and the conditions are ripe for one of my favorite presentations to kick into gear. Enter the Senko wacky rigged worm in the cream white pattern that I also refer to as “Mayo”, as in Mayonnaise. Get it? 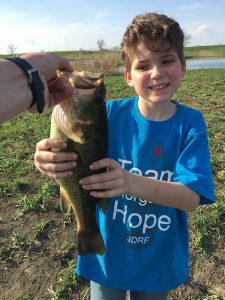 Well, the bass did on a day where I got to kick back and play fishing guide for a young angler who really took a leap forward courtesy of an ever improving skill set and some quality hungry bass. 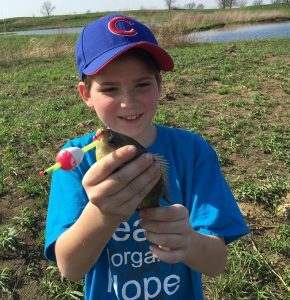 Destination Dilemma – My aim was to put Jayce in front of some quality bass and shift gears from our standard panfish/whatever will eat a waxworm approach. Half a dozen private strip mines fished via boat or one of the dozens of public, walk-in spots was what made it a tough call. We left the little boat at home which seemed to initially disappoint Jayce and the decision also caused me to waver on the drive. In the end, I elected to hit a public off the beaten path proven spot and it turned out to be a winning move for a dad wearing the hat of fishing guide on this evening. Senko de Mayo – I wanted to focus on the weightless Senko wacky rig presentation which is not only a solid producer but also pretty kid friendly when compared to a handful of other mid-spring techniques. With aquatic vegetation kicking into full gear, the wacky rig also shines due to its slow sinking action amidst the weeds. 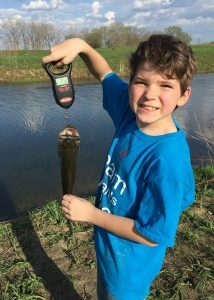 It doesn’t require a young angler to kick a retrieve into full gear as the lure hits the water like a spinnerbait, chatterbait or lipless crank and the single hook is a lot more friendly navigating weeds than a treble hooked crankbait or a bottom bumping lure such as a creature bait or jig. The Senko proved to be the right bait for the day as a few brief attempts with other lures drew no interest whatsoever. 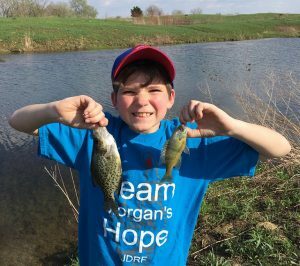 When the dust had settled it had produced a solid Top 5 limit for the young angler in roughly two hours of fishing. What a day w/Jayce. I do the same thing w/ my grandson only it’s duck hunting. Lifetime memories on both sides are made like this !!!! Keep it up as you will never get to do it again – they just keep growing up !!! Yep, it was really a lot of fun just hanging back, letting him do his thing and documenting it for posterity. And while some days I’ve had about all of the technology I can take, it is cool to have the combo of word processing, social media, instant messaging, photo and video to share and preserve. Brings a smile reliving it now and pondering Jayce (and our other kids on their adventures) reliving it down the road. Good stuff.